The much awaited iPhone X was finally unveiled by the Apple Company on September 12 and the new model of the iPhone is not only stylish but also packed with tons of new features. 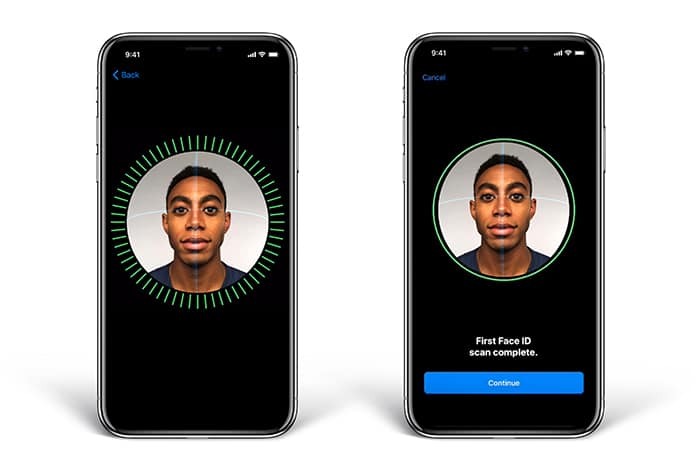 One of the newest additions in the Apple’s kitty is the Face ID – a new authorization method. Those who are not aware, the Apple Company have abandoned their legendary Touch ID in favor of the Face ID, which allows users to unlock their iPhone with their face. While this may seem like an innovative feature, many users claim that the Face ID is not as secure as the Touch ID. But what if Face ID not working on your iPhone X? Read on to find the right answer. This is mainly because the Face ID is a new technology; it might have problems authentic faces. If you also experience problems with unlocking your iPhone using the Face ID feature, then there are many ways to fix the issue. In this guide, we will guide you how you can fix the Face ID not working issue in your new iPhone. Your complete face is within full view of the iPhone camera to authenticate. Your face is not too close to the phone. There are no faces in the background. You are not wearing anything on your face which is covering even a part such as masks, cloth, or jewelry item. How to Fix Face ID Not Working on iPhone X issue? Once you have ensured that the Face ID error is not caused by your own slip-up, continue towards the troubleshooting guide to fix the issue. A minor software issue or a software bug can cause the Face ID to stop working properly. You can try restarting your device which might fix the issue. Sometimes, the Face ID feature fails when the lighting around you is too dark or too bright. Make sure the lightning conditions around you are reasonable for the Face ID to recognize your face accurately. There is a possibility that Face ID was unable to scan your face properly during the setup procedure. The issue can be resolved by removing the current Face ID and setting it up again by following the steps below. Open the Settings app and go to Face ID & Passcode. Enter your iPhone’s passcode, tap on the Face ID and select Delete Face. Once the current Face ID is removed, go back to the Face ID & Passcode and tap on Enroll Face to set up a new face. 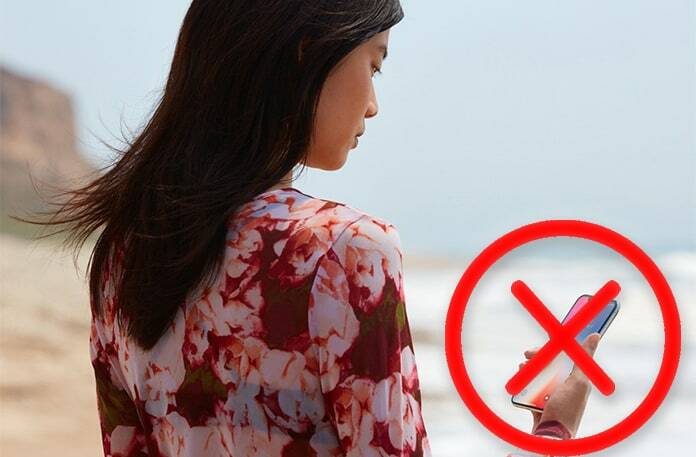 If there is a protective case or a screen protector on your device, then it might be blocking the sensors or the front camera of your iPhone, which is used by Face ID to identify your face. Remove the casing or the screen protector and try to see if the Face ID feature is working properly. Resetting your phone can also help in fixing the minor software glitches on your device. However, the iPhone settings will only restore to factory default so all your personal data will remain intact. Scroll to the bottom and tap on Reset. 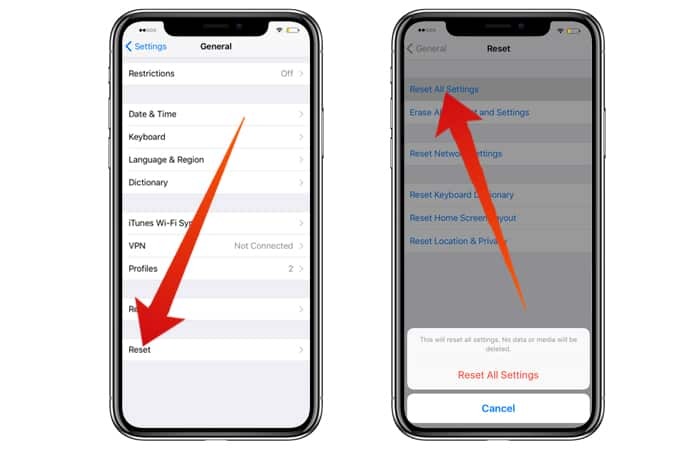 Choose Reset All Settings and if required enter your iPhone’s passcode. Following this process will reset all the settings on your phone. Tap on Download & Install if an update is available. If none of the above methods fix the problem, then as one of the last resort, you will need to perform a full restore. Unfortunately, this will wipe all the data on your iPhone and restore it to factory defaults which will help fix any issue you are facing with your new phone. 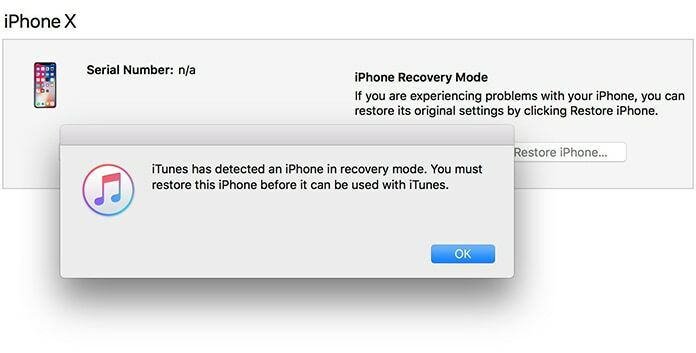 However, it is recommended that you perform a backup of your phone using iCloud or iTunes. Once you have backup the data on your phone, go to restore your iPhone which will restart your device. Once the iOS device is installed completely, transfer all your personal data back on your phone from iCloud or iTunes. As a last attempt, take your phone to a nearby Apple store and have it inspected by a technician. If hardware or a software defect is causing the problem with the Face ID, then the staff at the Apple store will help you get it fixed. These were just some of the solutions that you can apply to your new iPhone X which will hopefully help fix the issue. Since Face ID is a new technology, there is a possibility that it might come with some issues that might cause it to be non-functional. The good news is the company fixes most issues that arise after a new product launch with software updates. And if all fails, then your best bet would be to visit the Apple store and have your iPhone inspected and replaced – if eligible. 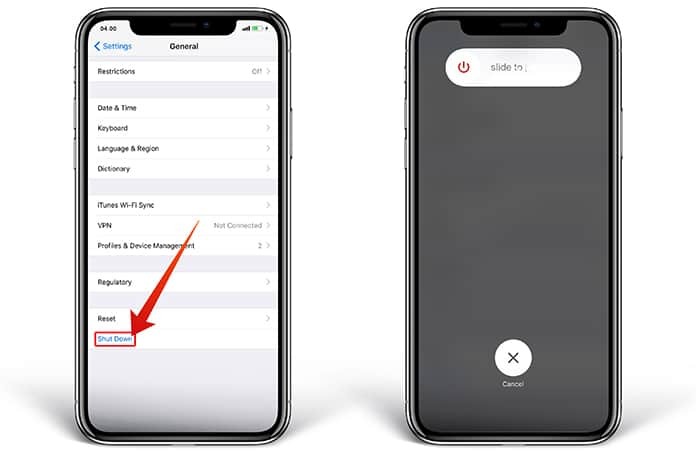 If your iPhone is enclosed by a protective case or there’s a screen protector on it, then it might be blocking the sensors or the front camera of your iPhone, which is used by Face ID to identify your face. Try removing the iPhone case or the screen protector to check if Face ID works properly.